After completing a first quick test of Android Wear 2.0, we've decided to undertake a more in-depth assessment of the latest Android Wear update. We used the Huawei Watch as a test device for the so-called Developer Preview. Whilst the watch is neither optimized nor includes complete features, it still provides you with a good preview of the Android Wear update. We're still in the early stages of the update, but it's already showing such a great potential that perhaps the time has come for us to give smartwatches a second chance. Note: In the time since we completed our review two new smartwatches have been released with Android Wear 2.0, the LG Watch Sport and LG Watch Style, and the final Android Wear 2.0 update has been distributed. That said, our test with the Developer Preview still covers all of the relevant features for the new software. Since 2014 with Android Wear and 2015 with the Apple Watch, a majority of the major smartphone manufacturers have also developed smartwatches. Unfortunately, wearables haven't proved to be as popular as these manufacturers had initially hoped they'd be. The reason? They have a very limited battery life, are useless without a paired smartphone and, in the case of Android Wear, are inefficient smart devices. The developers behind Android Wear 2.0 have been listening to its critics and sent back a strong response. While we shouldn't expect any miracles in reviving these devices, they have still been massively optimized. As an added bonus, an Android Wear 2.0 smartwatch can now do most tasks without a paired smartphone. What makes Android Wear 2.0 so special? Google wants to make Android Wear 2.0 smartwatches less dependent on connected smartphones. This is especially useful for iPhone users, since up until now these provided very little in the way of added value from Android Wear-powered watches. Why? The important notification interface is not really compatible with iOS, and Huawei Watch and Co. could only offer a few advantages in everyday life by linking them to Apple's devices. Samsung countered this briefly by developing its own operating system on the Gear S3. Android Wear 2.0, on the other hand, turns smartwatches into self-contained devices. Whilst some older Android Wear watches did include important features, such as WiFi, GPS and loudspeakers, to give them a degree a independence, the software on these devices was like a ball and chain. The original Android Wear was a terrible operating system. Possible new features were not implemented with updates to the old Android Wear, or if there were any, these were rolled out at a snail's pace. Additionally, their usability was moderate at best. To install any new apps you had to continually go back to your smartphone - again and again and again - to install the apps. Not anymore. For the first time ever, you can install apps on your smartwatch without the aid of your smartphone. Keyboards, chat apps or small games can all be downloaded without a smartphone. The apps now feature on the new, really beautiful app drawer. It shows your recently opened, then your favorite apps, followed by all the other smartwatch apps in alphabetical order. In our review of Android Wear 2.0, the Play Store on the smartwatch has behaved similarly to what you'd find on a smartphone. You'll be informed about available updates. If you install an app on the smartphone that is also available for Android Wear, the watch will ask if you want to install the app there too. One possible downside to this scenario is that this also means you'll need to put a little more effort into installing your apps. Previously Google Maps was installed immediately on the watch, because it was already on the smartphone, but that is now no longer the case. You'll have to download the map app that is exclusively for your smartwatch. After all, it now runs completely independently of your smartphone. You don't have to call out "OK Google": A long press of the button is all you need to kick-start Google Assistant. So far, this digital assistant had been reserved exclusively for Pixel owners. The Assistant is still not living up to expectations at the moment, and misunderstands quite a few voice commands. Thanks to machine learning this will no doubt improve with time to become even better and might one day actually be helpful. One new feature, which I personally cannot get enough of, are the new dials for the smartwatch. In the menu, you'll find two watch dials. These have four circles, within which you'll see your info displayed. This might not sound that exciting at first, but it truly is awesome. Whatever data is displayed in these circles, Google leaves this to the app developers. A new programming interface called Complications has similar to the widgets on the start screen of a smartphone: If you tap on a data field a list of apps appears, and in each case a list of available data for those apps. From a user perspective, I can imagine a number of reasons why I would tailor a watch dial. For work it would let me see appointments, contacts, notifications and a shortcut to my inbox. When playing sport or at the gym, it could track my pulse and steps count, and provide shortcuts to the timer and the stopwatch. Changing between your favorite dials on Android Wear 2.0 is a natural part of the operation. Android Wear 2.0 has also optimized the speed settings. "More info at a glance" is the motto: instead of having one button per screen there are now five icons. Also, the notifications show more info and include more options on how you can interact on your smartwatch. There's even a keyboard to answer incoming instant messages. In the video (above) you'll get a better idea of how this works. Since watches really want to become more independent, thanks to Android Wear 2.0, they also get a keyboard. This supplements the relatively limited input methods and Emojis that are already available on smartwatches. The keyboard works either with taps or swipes. Both methods work quite accurately and are clearly less problematic than you would expect from its small size. Some readers have been asking me about how the update affects the battery life. The only qualified answer to this can only be "it depends." I personally didn't notice any vast differences or improvements in either the stand-by mode with always-on activated nor during active use. In the mixed mode, I consistently used the smartwatch over a period of 36 hours, starting at 11:12 am and ending at about 11 pm the next day. The smartwatch was connected to WiFi, and it usually remains in Bluetooth mode. I also used the Companion app to set the smartwatch so it wouldn't activate when I tilted my wrist. Android Wear 2.0 is an excellent update, if not an upgrade for old smartwatches which breathes new life into them. In many respects, you can see that the interface has been developed with more care and attention to detail. It's no longer just good enough, but really good and thoughtful. Now we can look forward to a new generation of smartwatches which are much more functional and interesting to use. By the clear optimization for stand-alone use, I expect smartwatches will be able to do more than just vibrate when I get a call or count my steps. Instead of an Android Wear 1 smartwatch, I could get myself a SmartBand and a Casio F-91W instead. Android Wear 2 watches, on the other hand, now provide you with genuine reasons to revisit smartwatches as a smart device option. Are you waiting to upgrade your own smartwatch to Android Wear 2? How are you hoping it will improve your user experience? Let us know in the comments below. Dude, you need a good moisturizer. Does anyone have any idea when Huawei will release this update for the Huawei watch? Are we looking at days,weeks or months? Android Wear 2.0 is an upgrade for Android smartwatches. Too bad most Android users are using a Tizen watch from Samsung. 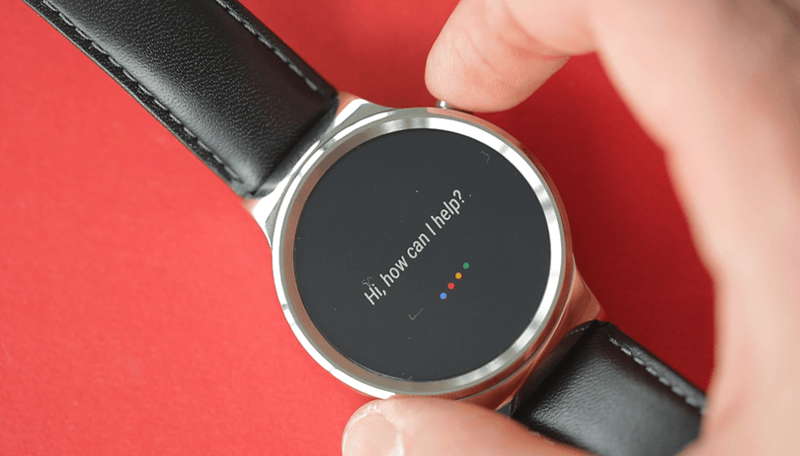 Android and specifically Google need to regain control of their android base if they are to generate both the momentum and confidence Android OEM's need in order to continue improving Android smartwatch hardware.